India is a goldmine for all consumer related brands. Tracking brand health and measuring qualitative aspects of consumer responses are collectively known as Brand Track. A Brand Track study answers many intrinsic questions related to brands. The concept not only brings out the answers to the questions which brands have, but also, bring a lot of actionable insights. In this rapid digital transformation era, right from a platform to resell old belongings through e-commerce websites, the product lifecycle of FMCG, consumer durable’s and fashion products is changing every day. It is just a matter of time when centennials take over, everything in trade will be about ‘FAST TREND’. The highest media spending in India of INR 12,000+ crore goes to FMCG products. HUL alone spends INR 200+ Cr every month on all the products put together. Brand Track helps FMCG companies to rightly target their consumers with effective communication. Brand Track helps FMCG companies to create a new milestone at every step. 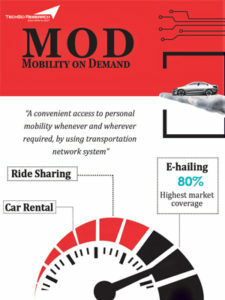 It helps to map the change in the pace of consumer behavior, attitude and perception. How Brand Track Changes Business of FMCG Brands? Captured Brand Sensitiveness – Understand and assess the consumer’s emotional attachment with your brand. An interesting example is Patanjali, which has brought herbal wave in India. Soon, post extensive tracking of consumer behavior, all MNCs have caught the emotions and replicated in building new products. Captured Brand Perception – Western food habits have been influencing Indian consumers significantly over the last decade, giving birth to new categories such as Pasta, Vermicelli and other breakfast cereals. Brand perception across users and non-users is mapped by the companies seeking to launch the same line of products in the market. All new entrants such as Kellogg’s, Bambino and MTR have gained tremendously by adopting such insights. Sales number does not speak for the customer. It is the end-result of product communication. But what is the benchmark, should the brand be satisfied with the growth or with little alterations, brands can achieve higher revenue goals. Well, FMCG giants do not settle for less. They capture brand attributes and its impact on consumers. For FMCG consumers, all products of the category are same. The unique selling proposition is different for different brands. Is it the USP that drives the sales or some other unique factor? Many companies like HUL and P&G have developed communication to hit the delicate spot. But the flawless communication of Paper Boat has swept the market. The brand has quickly gained market share by its unique positioning of connecting childhood memories with its products. This happened by analyzing consumer behavior towards each of the small/big product factors, which include product stimuli, product packaging and overall positioning. How do they select Respondents? 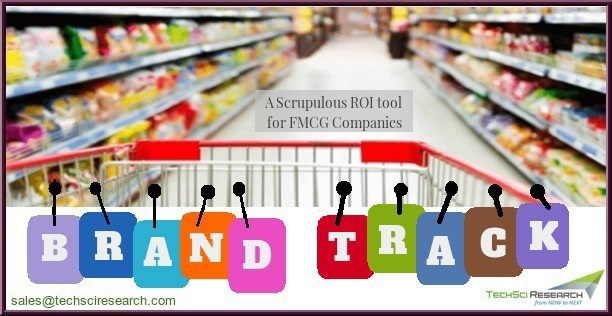 Brand Tracking for FMCG is conducted across the users and non-users of a brand. Users tell a brand why they own this brand and non-users share the experience of choosing other products over the client product. The fair representation of the universe helps the brand to identify the reasons of being heavy user, light user or non-user. The objective is then devised, basis the initial analysis of the customer attitude by dividing up the market, typically requiring different questionnaires to capture the specific issues of each product category. Economic Indicators – Monthly income, Disposable income, Loans or Other debts, Savings-Expenditure ratio. Our experience reveals that storyline reporting & putting qualitative questions in the questionnaire helps to identify the sensitive areas of the consumers. Believe it or not, every consumer has an emotional instinct to choose a brand, the instinct becomes need, which further generates demand in the market. Brand Track helps to unveil the pain points of the consumer as well and gives a headway to position the brand according to the exact need of the consumer. Brand Track is a perpetual process and must be done keeping an appropriate time period under consideration. The continuity tracks ATL-BTL campaigns and the effect of the same over consumers. It also gives a qualitative aspect of the campaign & key deliverables of existing communication. The fast pace digital era of consumerism demands an ‘impactful & creative communication’. Experienced in handling consumer researches & having handled big global brands – TechSci has worked with 100+ clients for consumer research. Quick turnaround time – The behavior of customers changes very quickly specially for FMCG & Consumer Durables. Big-Small entrants make their way to lure consumers with innovative offers & attractive getaways. With 1 lakh global panel of consumers & 10 thousand distributors, TechSci Research firmly believes in collecting rational varied responses from the consumers. The panel helps brands to exercise any quick study. The consumer base allows TechSci Research to have an immediate recorded dialogue, with the company having tools to showcase the progress of the research in real time. The micro small-scale decisions can be exercised through quick chats with the loyal shoppers. Addendum Insights & Unique Methodology – TechSci Research provides not only consumer insights, the analysis consists synergy with the market insights such as market share (By value & By volume), which aid brands to look at both sides of the trade. TechSci Research creates new & innovative methodology for each & every brand. We believe in 360-degree customizations. TechSci Research is continually working on to enhance research experience and to provide deeper & future insights. Owing to becoming New Age Research Partner to brands, TechSci Research always strives to share trustful & gainful Recommendations.